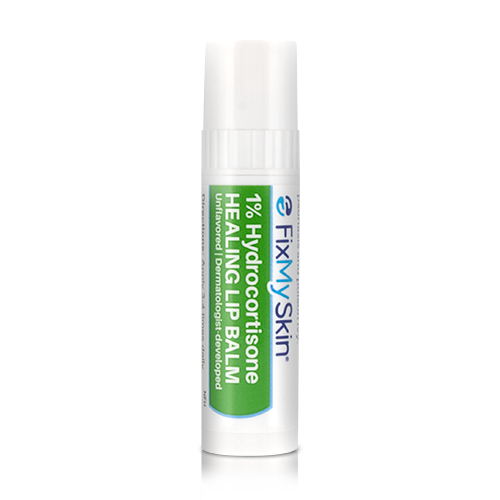 FixMySkin 1% Hydrocortisone Healing Lip Balm - Unflavored is a powerful and soothing balm that heals chapped lips and irritated skin symptoms. 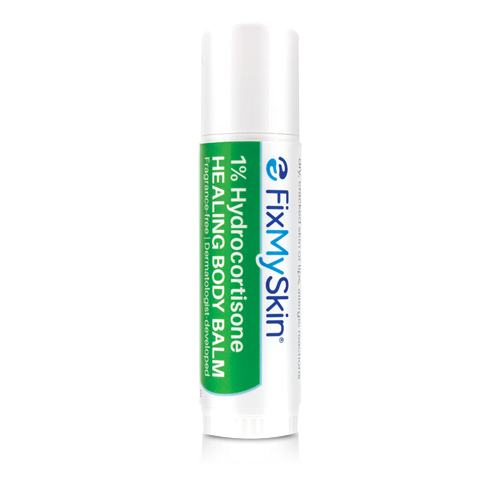 FixMySkin 1% Hydrocortisone Healing Body Balm – Fragrance-free is a powerful and soothing balm that banishes irritated skin symptoms. 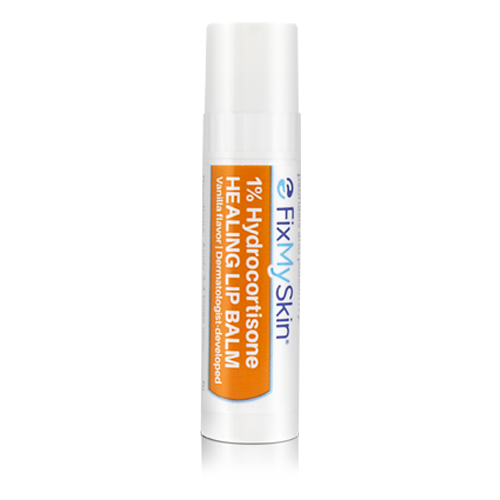 FixMySkin Healing Lip Balm - Vanilla is a powerful and soothing balm, with a subtle hint of vanilla that heals chapped lips fast.